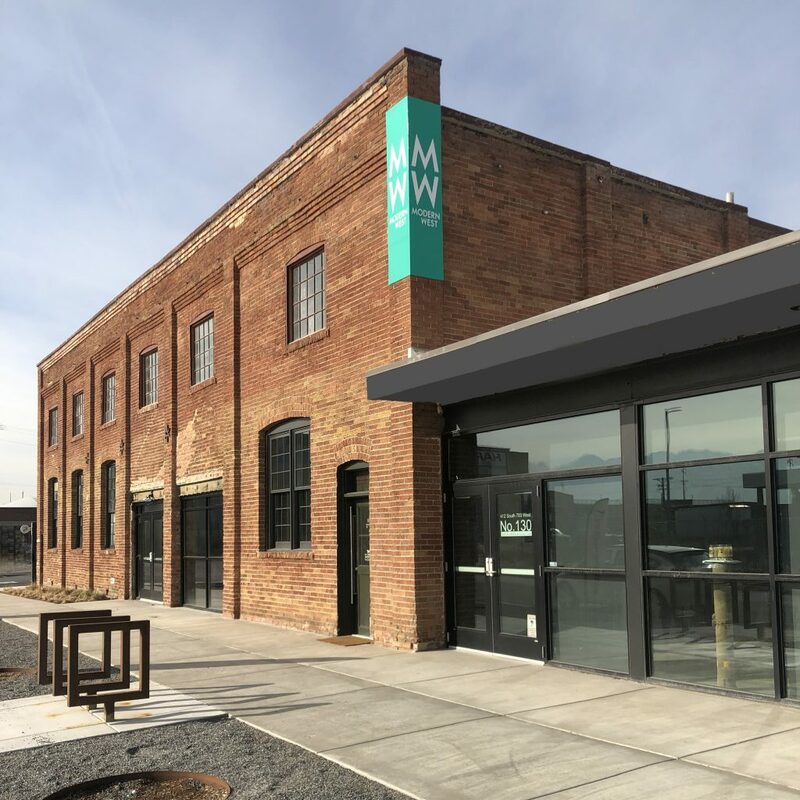 Modern West has opened up new frontiers for itself in what used to be the Salt Lake Engineering Works, near the freeway entrance on 700 South. 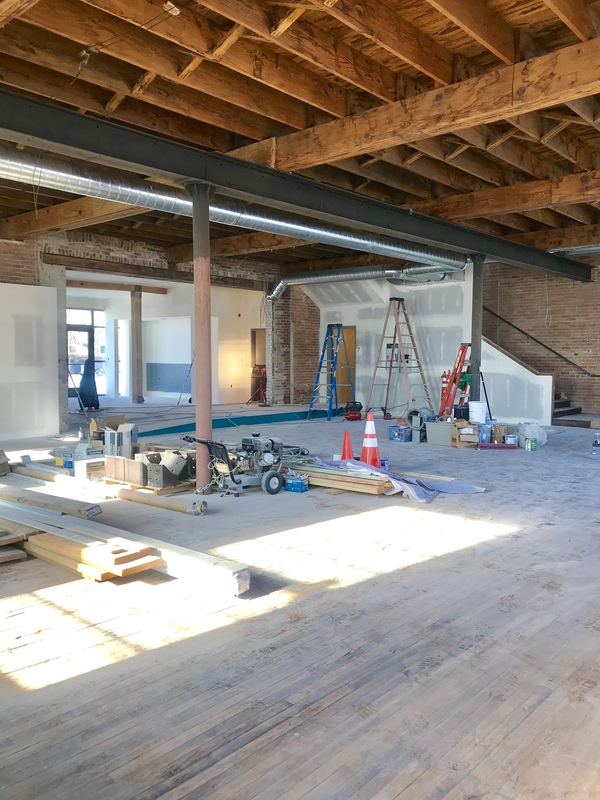 The Salt Lake Engineering Works, built in 1904 as a machine shop, warehouse and foundry on Salt Lake’s near West Side, has a new tenant that’s adding some extra class to the increasingly artsy neighborhood. 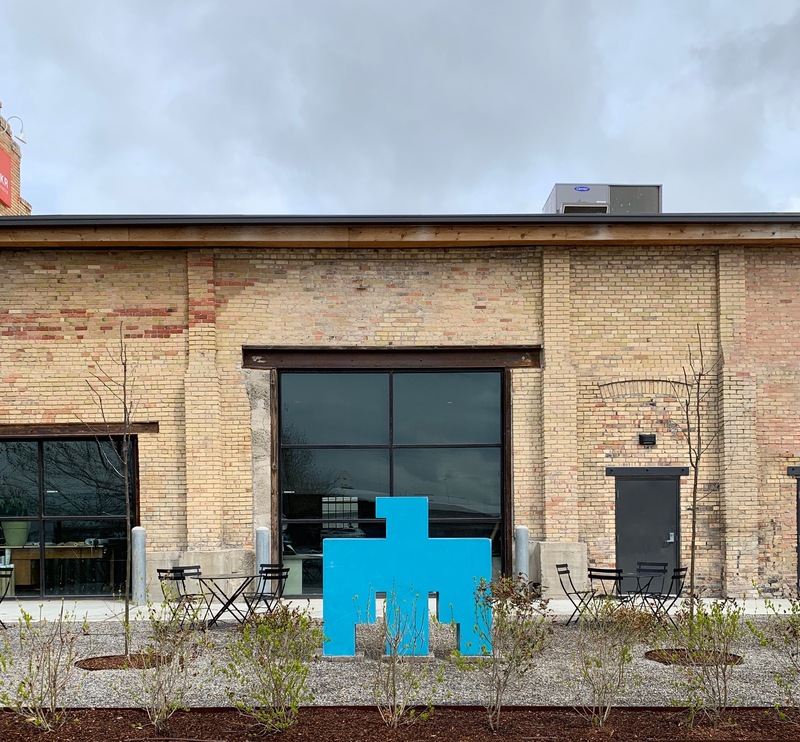 Modern West Fine Art has left Second South and Second East and settled into 10,000 square feet of the renovated foundry just off 400 South at 700 West. A look at the interior during the early stages of renovation. Movable walls, which will allow the gallery to play with different configurations as they curate guest and represented artists, would eventually fill this front space, and a bookstore the rear space. 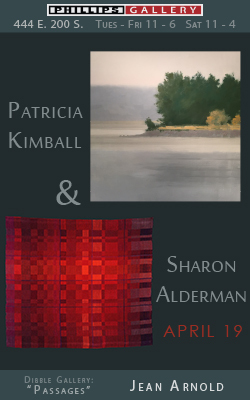 The upscale gallery, owned by Diane Stewart, made a name for itself during the past five years for its focus on contemporary artists, emerging or established, with ties to the western United States, including a group of indigenous artists with reputations and collectors that span the globe. 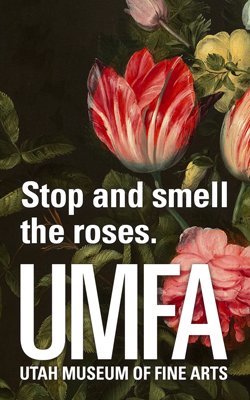 In the new location, the gallery will be true to its roots, but will be able to offer patrons a whole lot more. 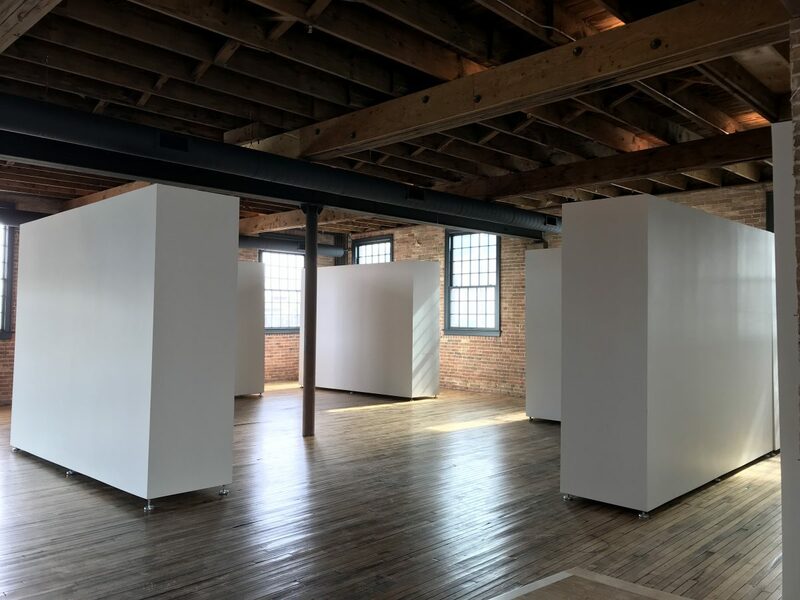 The “southwest” aesthetic of the gallery’s former space has been replaced with a much more industrial feel, as well as increased square footage. Sculptures by Mike Whiting currently can be found in the sculpture garden and other parts of the building. 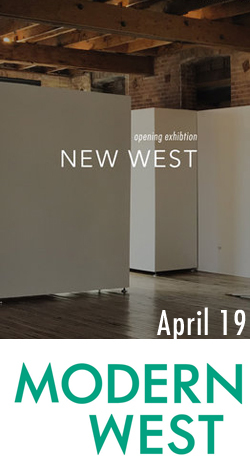 The opening exhibit on April 19, called New West, is the unveiling of Modern West’s new approach. 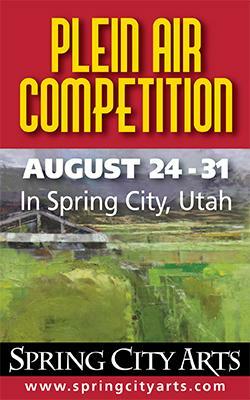 There will be 30 artists, 8 of them guest artists, with one or two pieces by each. 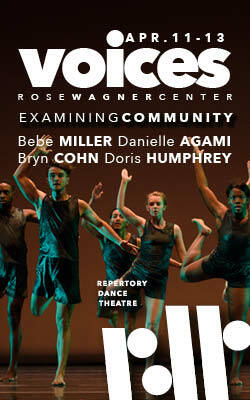 The exhibit will include video and installation art. Another new feature of the gallery is a bookstore with books by arts publisher Taschen. Furnished with a comfortable sofa and chairs, that section of the gallery is a place where people can gather to read and learn about art and architecture. Books will be available at all price points, and Stewart is excited to feature one of Taschen’s “sumo” books — a volume so large it sits on its own stand. 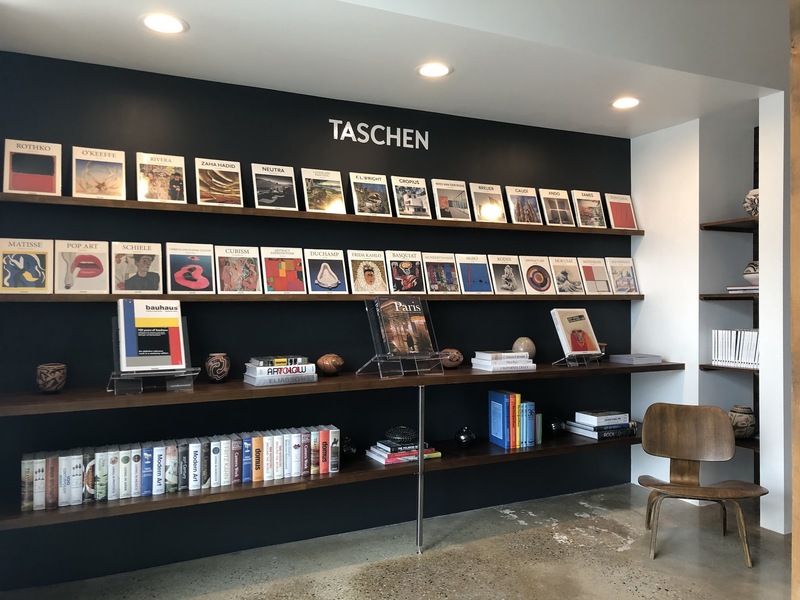 Art publisher Taschen is featured in an alcove on the west side of the gallery space. 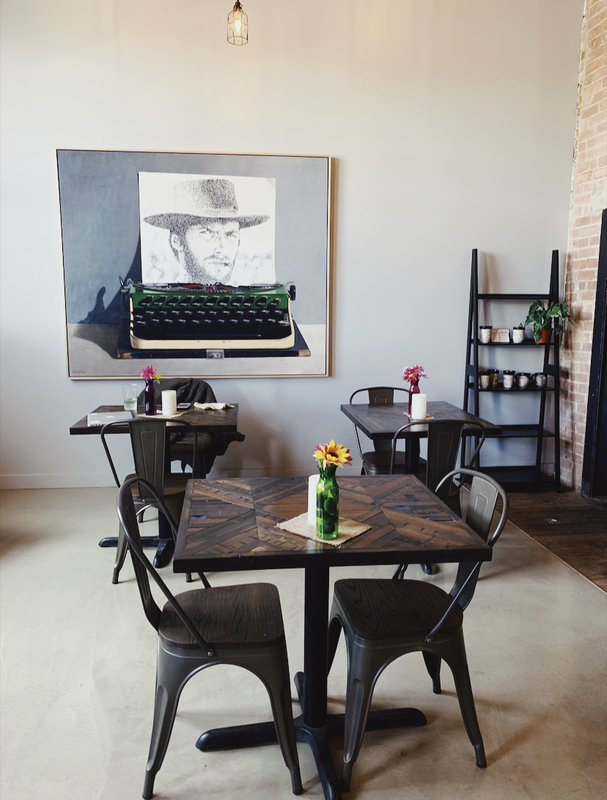 A piece by represented artist Ben Steele adorns the interior of King’s Peek Coffee, which is next door to Modern West. And the complex has more to draw people over to 700 West. 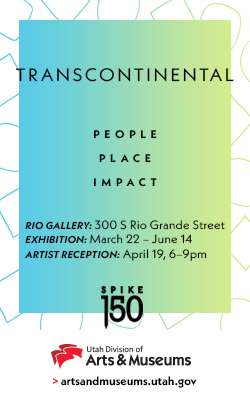 The buildings also house FFKR Architects, Saltgrass Printmakers, and about a dozen artist studios, some of which will be open for Gallery Stroll events. And the King’s Peak coffee shop adds to the destination appeal of the block. Stewart hopes to see an eatery on the block someday. 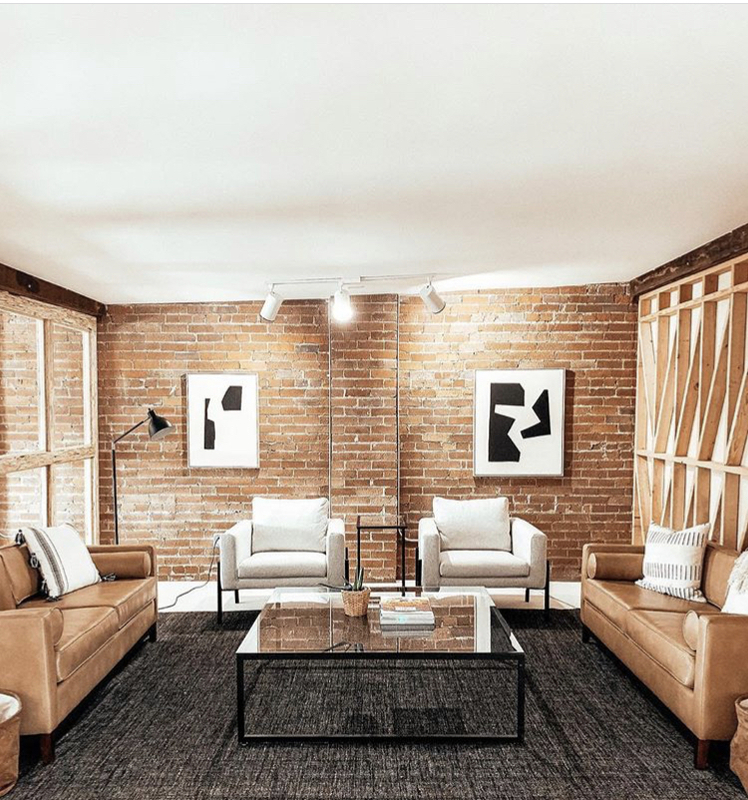 Above Modern West is a co-working area branded as “The Foundry.” Popular with Millennials, it offers workspace for creatives, including a photography studio. It’s a space that can be rented for events, meetings, and weekend pop up markets. Artwork by gallery director Shalee Cooper adorns the brick walls of The Foundry, which is above Modern West. 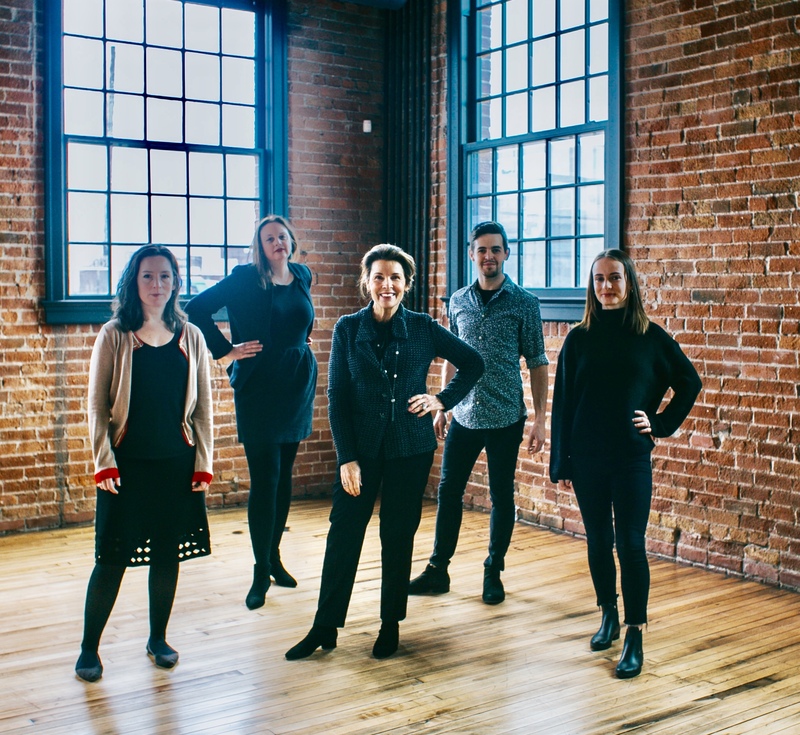 Stewart envisions a collaborative, creative community involving all the tenants in the building – artists, architects, photographers, and printmakers. 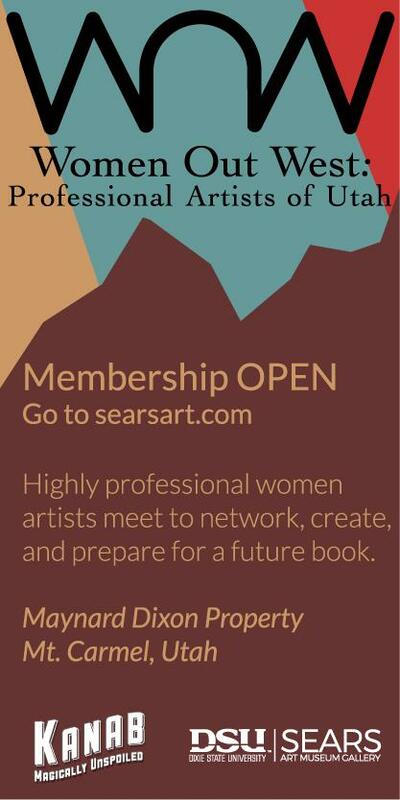 She also looks forward to continuing and expanding Modern West’s practice of hosting events for nonprofit groups, including lectures, book signings, and symposiums. If the Bogue Supply Building at 412 S. 700 West is a little difficult to find today, it won’t be for long. New signage at the north turnoff of 400 South will help. And, “Once you’ve been here, it’s easy,” says Stewart. 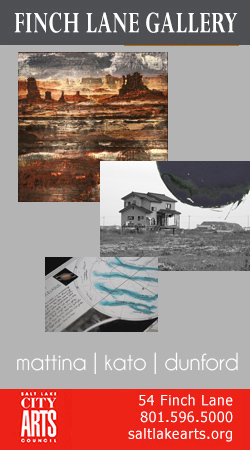 Add this art destination to your Salt Lake City cultural map, and head over to the grand opening, April 19, 7-9 p.m.
Diane Stewart (center) with her gallery team, (from left) Liberty Blake, Shalee Cooper, Tylor Pilcher and Rennie Stewart . 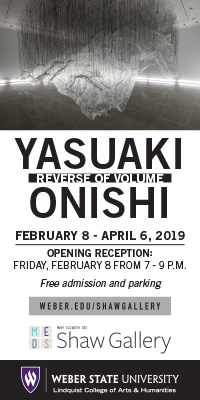 We love your gallery and we are looking forward to seeing you new location. Way to set such a wonderful standard for all of us.